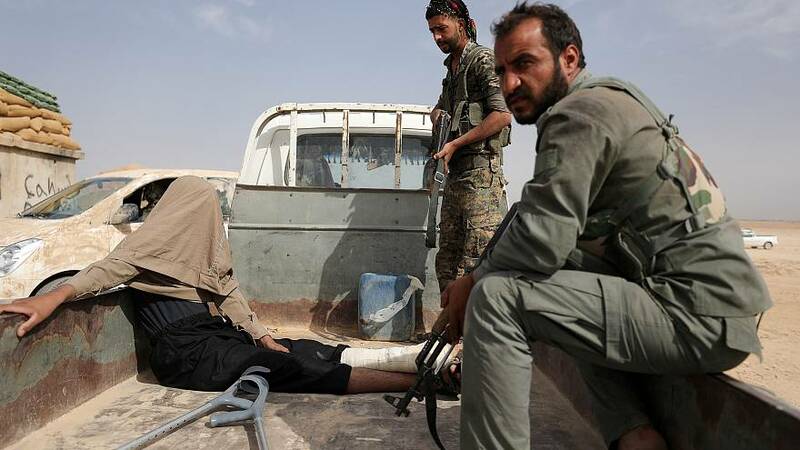 The jihadists defending their last stronghold in eastern Syria are "the most experienced," said SDF spokesman, Mustafa Bali. He told AP news agency overnight: "The battle is very fierce. Those remaining inside are the most experienced who are defending their last stronghold. According to this, you can imagine the ferocity and size of the fighting." Bali said on Saturday this would be the final assault on the remaining two villages "to crush IS". "Our forces have started the final battle to eliminate the last remnants of the ISIS terrorist organisation," he said in a tweet. This latest battle comes just days after US President Donald Trump announced that the terrorist group would be stamped out by "next week."